24" 1 - 0 : A corner is cleared by Lerma but Milner recycles the ball on the right, where Liverpool have looked a threat from. He swings a tasty ball into the middle and Mane bullets a header into the net from 10 yards. He's now scored in four consecutive Premier League games. 34" 2 - 0 : Robertson pings a ball over the Bournemouth defence and Wijnaldum is the midfield runner. He pulls the ball out of the sky and from about 15 yards spots Boruc off his line. It's one thing spotting it, it's a whole different ball-game to pull it off. He does just that, looping a sensational lob into the far corner. Special finish. 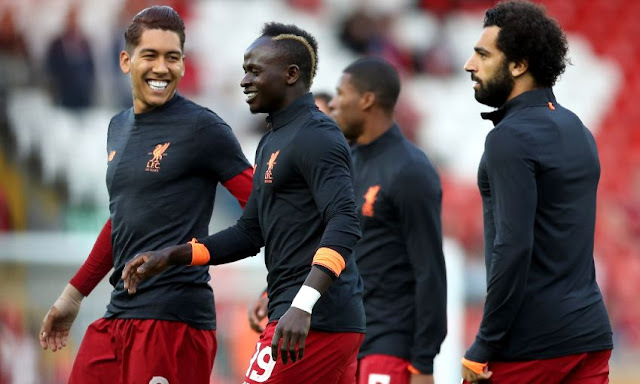 Liverpool FC : Liverpool: Alisson 7, Milner 7, Matip 7, Van Dijk 7, Robertson 8, Wijnaldum 8, Fabinho 7, Keita 8, Mane 8, Salah 8, Firmino 8. Subs: Sturridge 6, Origi 6, Alexander-Arnold 7. Gosling 6, King 6. Subs: Mepham 6, Mousset 6, Solanke 7. 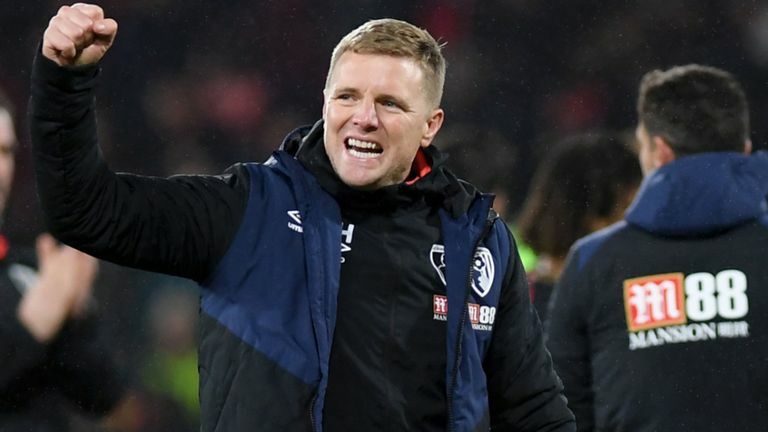 "We’ve always proved that we can put our game together against these teams and produce some really strong performances," said Howe. 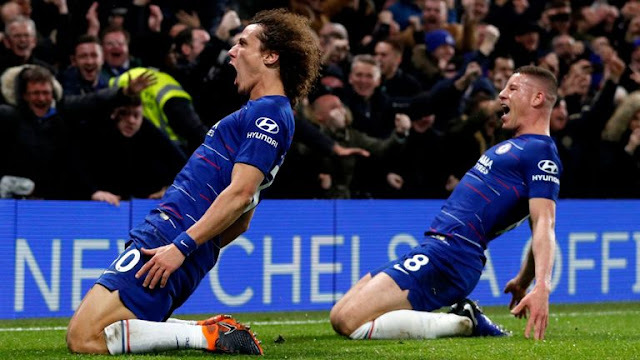 "The results, that’s always a difficult one to define, the Chelsea result was where everything came together with the result. "There have been other games where we’ve performed really well and just missed out. We’re going to have to defend well in long periods and we should have moments in the game to show what we can do." 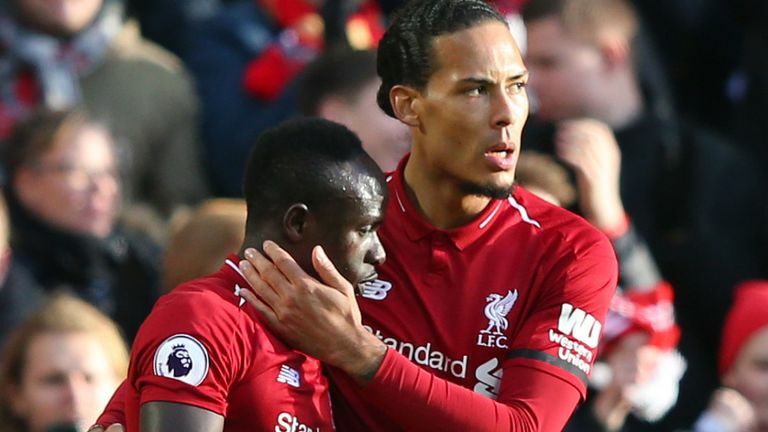 Liverpool FC have just been leap frogged by Manchester City into the first spot on the Premier League table but will have the opportunity to get back up against AFC Bournemouth before City take on Fourth place Chelsea. Liverpool have drawn last two games, had two wins and two loses in their last six games. Results that have cost the Reds their title race advantage. AFC Bournemouth were on high spirits after a big 4 - 0 win over Chelsea FC but lost their last game at home 2 - 0 to Cardiff City and will want to move beyond that loss, hopefully going for another Upset against a top six opponent.